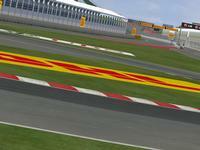 Can't add the new Runoffs, because when in change anything in the trackxx.gmt's the tarmac and grass looks wired. I think it's because of the Shaders. Maybe (!) flickering billboards before Turn 8. All Permissions by TheLonely were given. Copy the "GameData" Folder to your rFactor Directory. If you want to go sure, that everything works perfectly, delete all previous Montreal versions. Looks like a great track & finally somebody has sorted out that ghastly 2008 hairpin by removing that nasty concrete covering over the broken tarmac ! But have you made all the textures as no alpha files before adding them to the tex.mas because if you havent & you have added them as Dxt5 or higher quality .DDS files this track will get a massive frame rate drop as the preview video above shows. Im not moaning just letting you know for further tracks or updates as this is key to maintaining a balance of quality & cpu friendlyness. Thanx for this great track!! Well done!! Rain or diluvian event? LOL... for 2011 version there could be a boat race version. The track is relatively well done, but lots of details are not right, like at corner 8, there is no grass on the left side of the track. At corner 6 there is no grass on right side . at corner 4, the speed bump are lot higher on the real track then this mod. 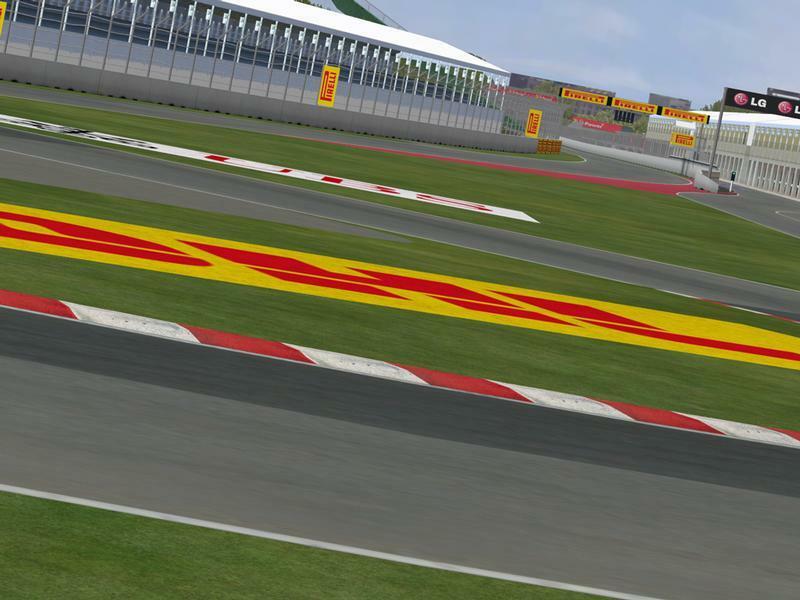 Also between corner 6 and 7, the track is now on more curvy that it is in the mod, this has been changed this year, Finally, all light system is not present in the mode while exist at the real track. Yes I noticed some inaccuracies. I was at the race. The 6-7 area is tarmac on the right. Would also be nice to have some details of spectator area at 6. You`re right, 6-7 seemed more curvy didn`t it? Otherwise great looking track! The track is perfect besides one part and that's the hairpin, if you can smoothen that out then it would be absolutely perfect. The track surface is indicative, and a true representation of how it appears from watching f1 practices, quali etc. Just to let anyone know who doesn't already, Montreal is a slippery track that is only used 2x a year by Nationwide and f1 cars, and fact being nationwide cup cars do not put as much load into the track as f1 cars. So all in all slippery but definitely manageable and hella fun.